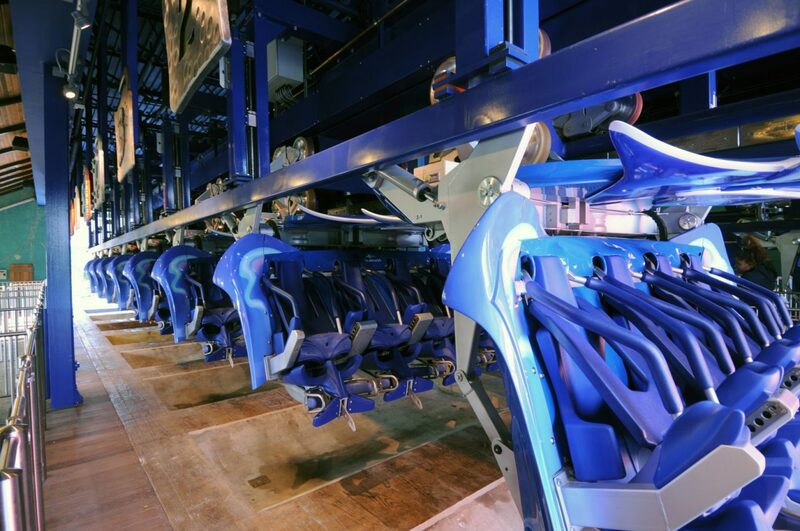 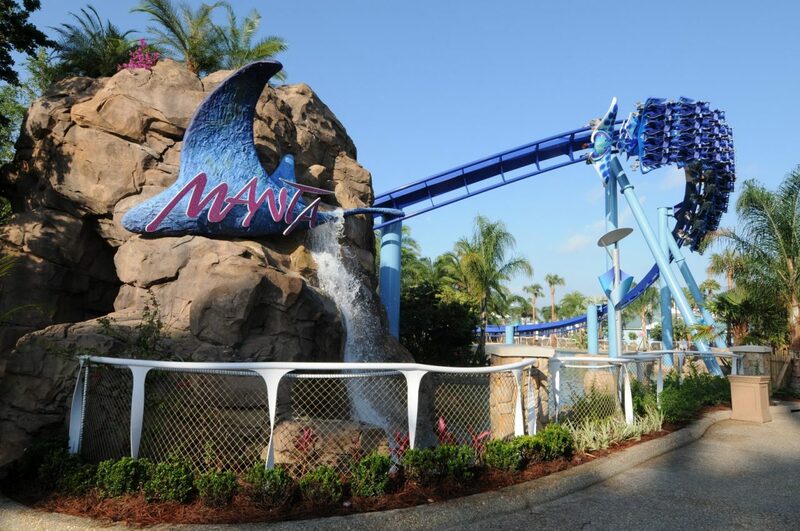 Manta Attraction at SeaWorld Orlando | Wharton Smith, Inc.
Get ready for a high-flying roller coaster experience! 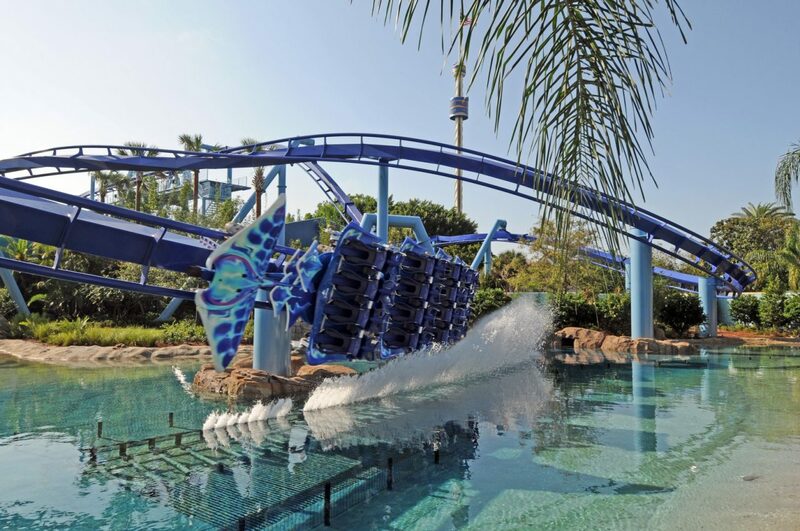 Experience the full force and power of riding the high seas, all on one of the smoothest tracks in the world. Shaped like a giant manta, guests fly face down at 45 mph through 3,359 feet of track. 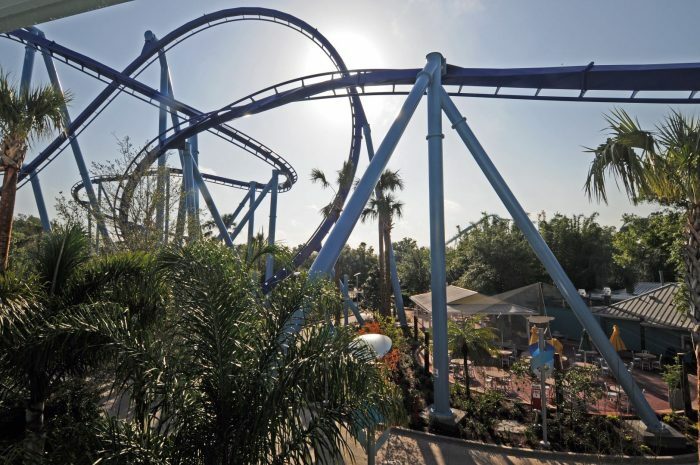 The rider goes through four inversions, including a 98-foot-tall pretzel loop. 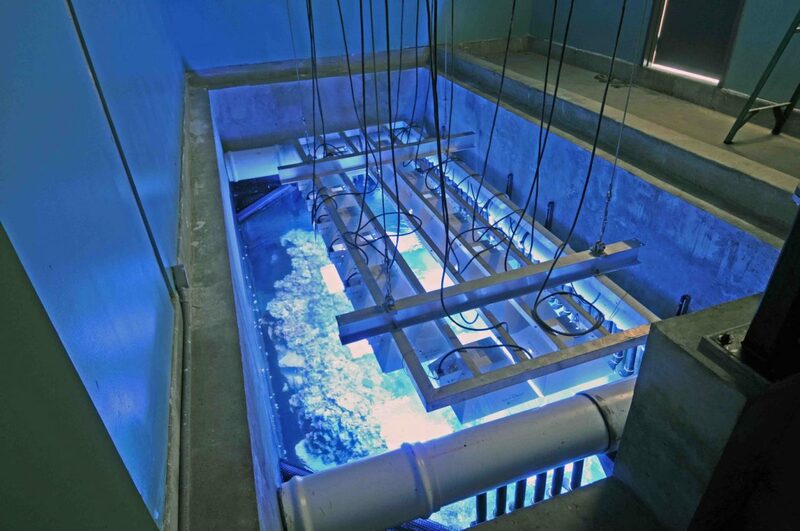 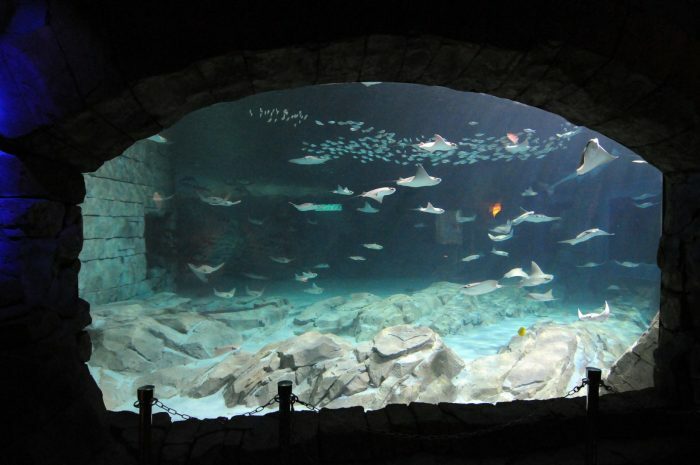 Non-riders are in for their own kind of thrill with 10 stunning underwater habitats, over 100 rays, and more than 3,000 marine animals, including a giant Pacific octopus. The seven-acre, 140-foot-tall attraction is located inside the main entrance to SeaWorld and is an icon within the park.